Every Christmas Eve, my father would send us off to Midnight Mass while he stayed home and waited for Santa Claus to arrive. We would set out at 10:30 PM, my mom, my little brother, and me, and walk the half mile to church. We had a perfectly good car in the driveway, but for reasons unknown to me until I was much older, Mom always chose to walk. It was pitch black outside, but we felt safe, walking through the neighborhood to the Catholic church. Mass lasted about an hour, though it seemed like a day and a half to a kid on Christmas Eve. Then we would make our way home to find that Santa Claus had indeed stopped by our house. I always wondered how Santa knew our precise departure and arrival schedule on the 24th of every December. Every year, without fail, our living room was packed with gifts. My dad barely made enough money to put food on the table for a family of seven, but Christmas was special at our house. On the 26th of December, my mom started her weekly ten dollar contributions to a Christmas Club account at our local credit union. By November of each year, she had saved almost $500; all of it earmarked for Christmas. I don’t know how he did it, but every year my father managed to assemble the bikes, toys, and games that Santa delivered between the time we left for Mass and the time we returned home. Everything was in its proper place, filled with batteries, and ready to be ridden, skated, burped, or flown. I now realize that my father, who didn’t even have a high school diploma, had a firm grasp of Functional Text comprehension – the kind of text that required him to follow written directions to put our toys and games together before we could play with them on Christmas. The same kind of text that requires us to follow simple recipes or learn to operate the types of appliances found in almost every kitchen. Most recipes and instruction manuals are long on words and short on pictures. To make functional text even more difficult to comprehend, most exercises require us to completely finish all of the steps before knowing the outcome. It’s virtually impossible, for example, to know if the brownie recipe was followed correctly until the chocolatey goodness (or gooey failure) comes out of the oven. Making 3D Models – Is There an Easier Way? So why go to all the trouble to make a 3D model? Wouldn’t it be easier to read a recipe or instruction manual and answer a few comprehension questions? Yep! It would be quieter and easier to grade as well. I find there are SO many advantages to hands-on comprehension activities that go well beyond comprehending. Cutting out patterns gives students practice using fine motor skills – yes, video games do the same thing, but making a 3D model requires kids to use more than their thumbs! Each step in the process gives teachers the opportunity to check for understanding and help students monitor and adjust before continuing on. Finally, it’s FUN and rewarding to make a 3D model! And, who knows, the students in your classroom might one day be in charge of putting together all of Santa’s loot on Christmas Eve. 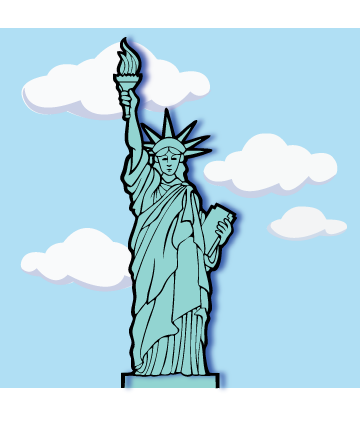 In this hands-on Functional Text Comprehension activity, students will follow written directions to make a 3D Statue of Liberty Model. 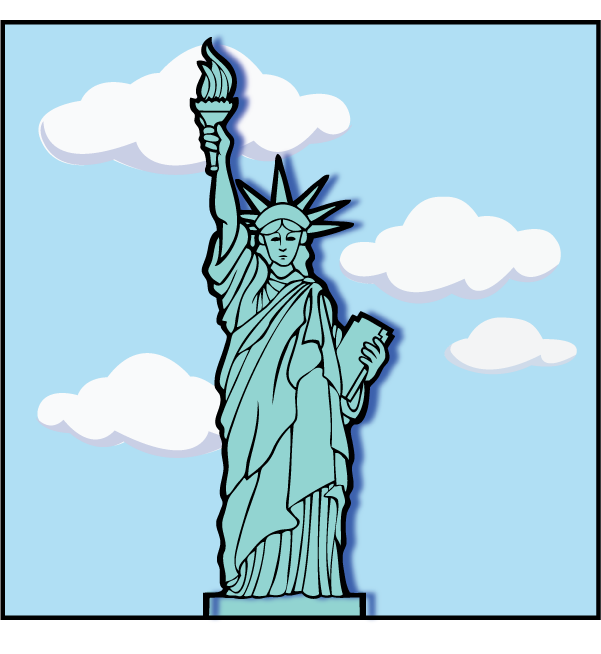 Click on the image below to download the Statue of Liberty Patterns and Step-by-Step Instructions. Of course, we’ve also included a Grading Rubric – so now it really is as easy as a paper-and-pencil comprehension exercise! This entry was posted in 3D How-to-Make Activities, Blog and tagged 3D Models, Functional Text Comprehension, Statue of Liberty. Bookmark the permalink. Thanks for stopping by! I hope you found our Statue of Liberty 3D Model useful. Stop back by for other interesting topics. Thank you for your kind words about our Statue of Liberty 3D Model and blog design. We hope to hear from you again soon! So glad that we could help! 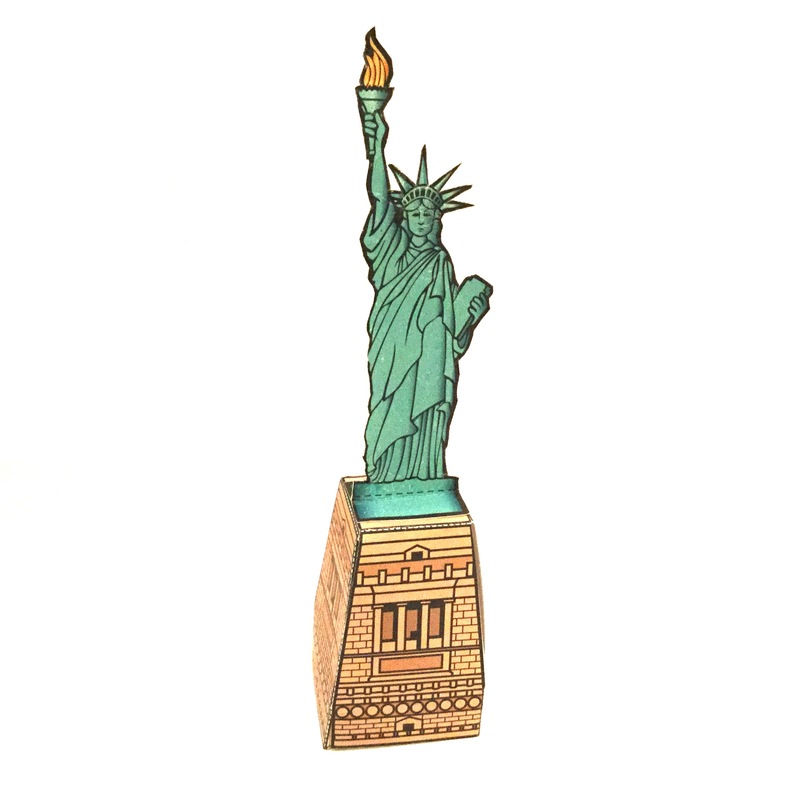 Enjoy our Statue of Liberty 3D Model and check back again soon!